Intros.gr began the collaboration with Salina Travel LTD, by upgrading, optimizing and hosting of greeceferryticket.com. Upon succesful completion of this project, Mr. Salamanos Stavros, Founder of Salina Travel LTD assigned intros.gr, the second major project. 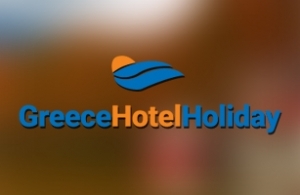 Web design and development, incorporating internet marketing strategies, optimization and web hosting of greecehotelholiday.com. This new project was a redesign and development of the website, incorporating internet marketing strategies. One of the main objectives was the Convertion Rate Optimization, the increase of website’s visitors who decide to book their holidays through the booking engines, provided by Salina Travel. We decided to make on-line booking quick, simple, and easy-to-do, by showing the book engines with respective call-to-actions, in a way that users will be urged to book immediatelly. Note : Booking engines are available through every single page of website. While designing the website, we took into consideration, that more and more people nowdays, use mobile devices. We used all the latest Responsive Web Design techniques, to make website work seammlessly, no matter what device is used. The next part of the project was the Data Migration from Jomholiday component and Joomla’s Article Manager to ?2 component. The project was hudge, given the amount of pages (around 35.000) and photos (arount 700.000) that had to be transferred error-free. We succesfully accomplished it due to our knowledge and experience in such projects. A Search Engine Optimization was perforred during developement and upgrade to the source code, formating H tags, microdata (schema.org) in every page, canonical urls, metadata Doublin Core Code, and link building (internal and external). In htaccess we created headers and 301 redirects from the old website. And finally we created Robots.txt, google webmaster tools and analytics. Finally, intros.gr provides high performance and secured hosting, in dedicated servers for the websites of Salina Travel LTD.